The new year had a busy start, as John Paul (JP) has energetically been giving back and sharing time in many different places with many different groups for many different causes. One thing stays constant, and that is JP’s tireless optimism and love for all living things on this planet. JP leads by example so it’s no wonder many salon partners, school members and employees follow suit by giving back in their different ways. To begin 2017, JP started off the year with a positive message about how to start the year off right. We shared how you are never too young to make a difference and experience the feel good feeling of giving back. Mikel’s The Paul Mitchell Experience in Tampa, FL shared how they built bikes for kids who otherwise would not get to have one and how that team building experience brought the salon even closer. Paul Mitchell the Man was celebrated and remembered on his birthday. John Paul gave the most inspirational TedxLA talk—you just have to check it out for yourself! We watched him on Cavuto Coast to Coast as he delivered a new perspective, Joyce Campbell shared the incredibly successful Get Exposed program celebrating the relationship between store managers and Future Professionals, and Robert Cromeans dropped knowledge with the state of the salon industry and what we can look forward to. 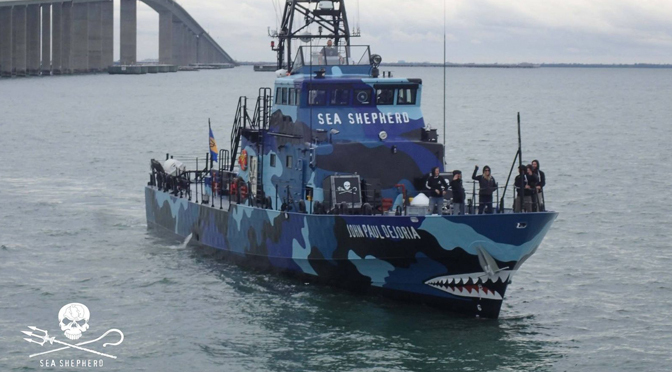 Definitely, the crescendo celebrated thus far was the launch of the Sea Shepherd Ship M/V John Paul DeJoria!